Custom orthotics are specially made devices that are worn to correct foot and ankle problems and to comfort and support your feet. Orthotics, also known as orthoses, are designed to relieve a variety of foot problems, but inexpensive ones that can be purchased over-the-counter may not offer as many benefits as those designed just for you. A variety of foot problems can be helped with custom orthotics. These include arthritis, tendonitis, plantar fasciitis, and bursitis. Pain in the ankle, heel or foot can also be decreased with prescription orthotics. The shape and material of foot orthotics vary depending on the specific problem that they are prescribed for. Orthotics for flat feet are designed to provide arch support as well as support for the ball of your foot and your heel. Orthotics for various foot problems that trigger pain in different parts of the body are designed specifically to address and correct any discomfort that starts in the feet. Functional orthotics are made of a semi-rigid material and are used to treat foot pain caused by moving abnormally, as well as tendinitis and shin splints. Accommodative orthotics are meant to provide support and comfort, and they are made of softer material. They are often used to treat diabetic ulcers. Foot pain is very common among adults, and if you are one of the many adults who are struggling with foot, ankle or leg pain, you know that it can be very difficult to live with. A variety of causes of foot pain can be relieved with orthotics. Those who have flat feet or fallen arches may have problems with body alignment that can be relieved by foot orthotics. Plantar fasciitis can be extremely painful, especially the first steps of the day. Orthotics for plantar fasciitis are designed to provide stable arch support, as well as cushioning under the front part of the foot and the heel base. Why Are Custom Made Orthotics Important? While inexpensive orthotics that are sold over the counter may provide a slight amount of cushioning and comfort, if you are suffering from foot or ankle pain, true relief can only be obtained by having custom orthotics designed especially for you. Prescription orthotics are designed not only to support the shape of your unique foot but also for the way you move. They are based on your unique foot structure and designed to relieve the specific problems that you are having. Cheap orthotics can cushion your feet, but they can’t truly relieve the pain of serious foot problems. If you are experiencing severe foot pain, don’t keep trying to live with the pain. 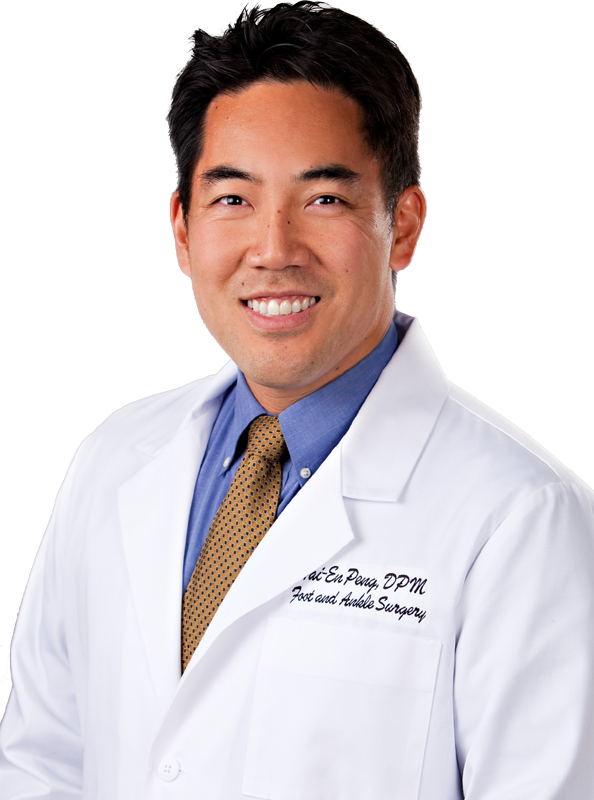 At Align Foot & Ankle, Dr. Peng will assess your overall health as well as examine your feet, ankles, and legs. He will strive to find the best solution for relieving your foot pain and discomfort. Custom prescription orthotics can help you reduce pain so you can get back to what you love doing. Schedule an appointment now online or by calling 805-482-0711. Or learn more about our many procedures.